Bear-problems in Romania: who is to blame? Romania is home to the largest number of brown bears in Europe, approximately 6,600 individuals. Recently the conflicts between bears and humans has drastically increased, as more bears move into the cities to find food. The brown bear is strictly protected in Romania, no hunting is allowed. However, with the increasing encounters of bears in cities, more people demand legal culling of the bears. To show their goodwill, the government has now proposed to allow culling of 140 individuals. But who is to blame for this situation? It is definitely not the bears. Currently it is summer in Romania and normally the forests would have plenty of food for the bears. On their menu would be berries, pinecones, mushrooms, insects and even smaller mammals. But, Romania has been dealing with increased deforestation and illegal logging lately, used for national and international markets. These so-called Clear Cut Crimes in Europe’s last old virgin forests have gained a lot of international media attention. Nevertheless, it seems that illegal logging still continuous at a frightful speed. 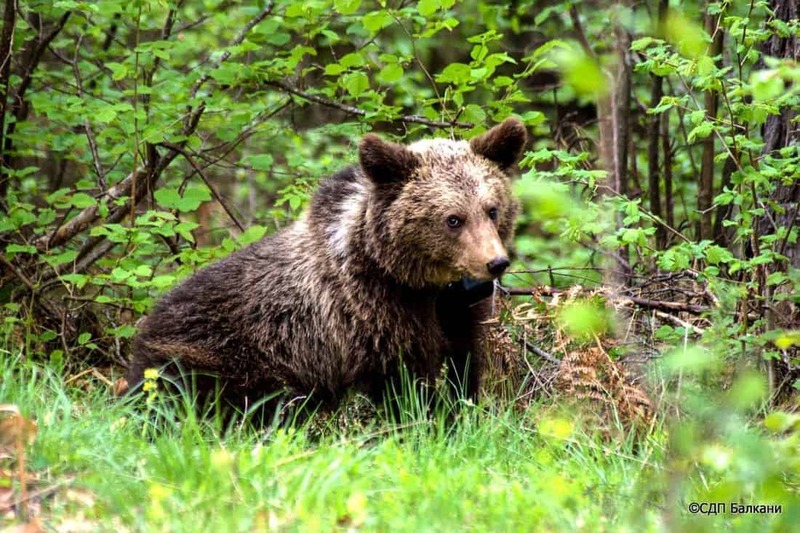 Clear cutting of Romanian forests reduces the living space for brown bears rapidly. The deforestation and logging across Romania is reducing the size of suitable habitats for bears to live in. As winter is coming, bears use the summer and autumn to feed extensively on available sources, in order to survive the winter while hibernating. And when people keep cutting down the forests, it is no wonder that bears start to wander in search of other food sources! Our trashcans must smell to them like a 5-star buffet. An appetizer of fruit-melange: overripe bananas, with apple left-overs and squashed grapes. Followed by the main course: premium quality bites of hamburgers, available on almost every corner of the street. And as dessert: melted ice-cream with cookie crumbles. It is no surprise that the bear are moving into cities, especially now that people make it difficult for them to live their normal life. But that people now demand culling of bears is definitely not the way to proceed. People should be protesting against illegal logging, not against Europe’s largest living omnivorous predator!